SOS paper carrier bags (Self - opening - sacks) are printed and folded inline via one production machine. The printing can be up to full colour, with specific pantone colours. Once printed, the bags are folded via the forming section of the machine. The handles are added at a later time. 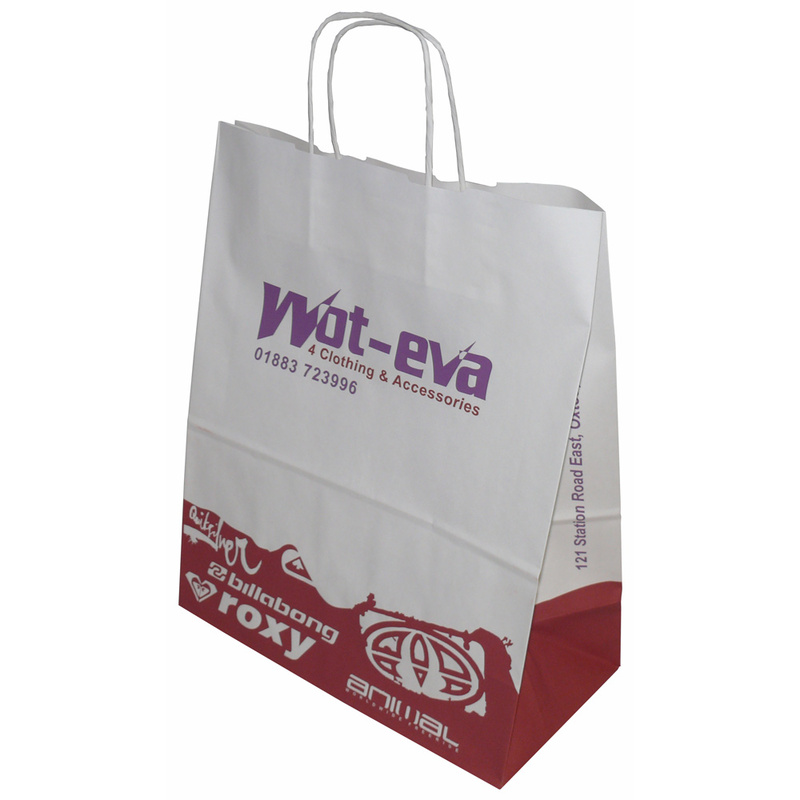 The carrier bags are ideal for supplying and efficient cost effective yet quality paper bag to your customers. The side and base gusset allows for a substantial volume of goods in comparison to flat bags and retains shape giving your branding extra clear exposure. The sample paper bag shown here is printed in 2 colours and fitted with a white twisted paper handle. Our Company arrange the production of unique white kraft sos bag with twisted handles. The Companys office team are happy to help stores select tailored white kraft sos bag with twisted handles. To obtain choose by material or other , get in touch with our staff via the above details.